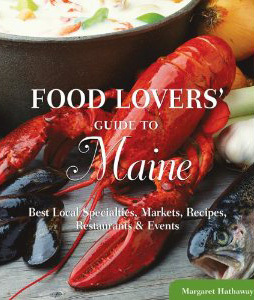 The ultimate guide to Maine’s food scene provides the inside scoop on the best places to find, enjoy, and celebrate local culinary offerings. Written for residents and visitors alike to find producers and purveyors of tasty local specialties, as well as a rich array of other, indispensable food-related information including: food festivals and culinary events; specialty food shops; farmers’ markets and farm stands; trendy restaurants and time-tested iconic landmarks; and recipes using local ingredients and traditions. Visit www.foodloversguidetomaine.com for updates and more restaurants and food events.